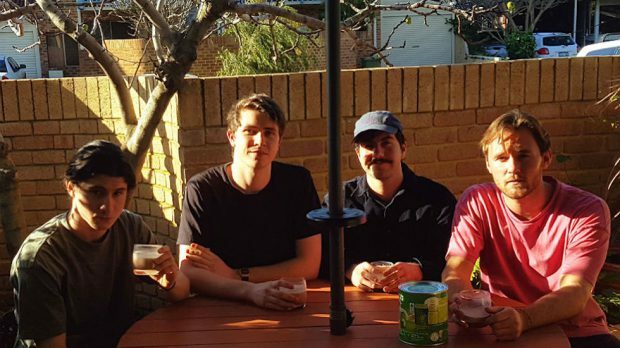 After appearing around Perth this year in various incarnations, four-piece indie rock act Lilia have finally released their debut single Bottom of the Ocean, and it’s a cracker. Straight away I was hooked in by the moody atmospheric intro, nicely mirroring the title’s imagery. Lilia let the tension build before breaking into an infectious chorus, complete with strong drum-work and an excellent guitar riff. There’s some creative use of vocal layering in the bridge, and lead singer Richard Lilje’s voice is an absolute standout; rich and resonant, with a dark timbre reminiscent of Matt Corby or Roo Panes. What really impresses about Bottom of the Ocean was how well all the elements worked together. A lesser band would have let Lilje’s voice overpower the music, but Lilia control the dynamics well, keeping listeners engaged with a rise and fall in energy. It’s a move that showcases musical maturity, and makes Bottom of the Ocean sound less like a freshman effort and more like the product of an experienced, established act. Having said that, it’d be fun to hear them really let loose, which judging by their energetic live performances, they’re more than capable of. In the meantime, crank this up in your car, belt out the chorus and let Lilia carry you out to sea.